THREE new contracts have been signed in recent weeks with lamb processors across Australia for the installation of Dual-Energy X-ray (DEXA) carcase scanning systems, while an additional beef system is also likely to be installed in coming months. The installations will mean more red meat producers across Australia will start to receive carcase yield feedback on their slaughter animals, as the industry moves closer to commercial use of DEXA carcase assessment systems for yield assessment, and in some examples, to support meat processing automation systems, including carcase chiller optimisation. While the DEXA machines themselves are now regarded by project managers as having reached ‘commercial’ stage, the four new installations are being supported by MLA as research and development projects, because the data they generate will be used to provide vital commercial feedback within the respective company supply chains, and for use by MLA for other R&D purposes. All MLA-supported DEXA projects include an inbuilt commitment to carcase yield provision to livestock suppliers and MLA. DEXA yield data will also deliver opportunities for better sortation of carcases within the participating processing plants. Currently there are two lamb DEXA systems installed in Australian processing facilities, meaning that with the three additional units, by mid-year the total number of lamb units likely to be in operation will increase to five. JBS Australia has the first two DEXA units installed at its Brooklyn VIC and Bordertown SA lamb processing plants. There are two other single energy x-ray (SEXA) units also in operation in Australia that can be cost-effectively upgraded to DEXA units. The new lamb installations will include one unit in Western Australia, a second unit in Victoria and one in NSW. Company identities have not yet been disclosed. All will be retro-fitted into existing lamb plants, and some are expected to be linked to robotic lamb carcase cutting systems, Beef Central was told. While the equipment itself is now regarded as having reached ‘commercial’ stage, MLA’s general manager for research, development and innovation, Sean Starling said the R&D contracts were about getting the devices installed to help deliver yield information out to the broader industry, to improve understanding around how the value chain works, providing transparency, feedback and potentially, genetic improvement around yield performance. In the beef processing sector, Beef Central understands that a large multi-species processor located in southern Australia plans to complete a beef DEXA scanning installation ‘in the near future.’ That will be followed soon afterwards by a lamb DEXA installation at the same multi-species facility. Currently, there are two DEXA beef systems installed in Australian beef processing plants for R&D purposes – one at Teys Lakes Creek in Central Queensland for yield/grading purposes, and a second at JBS Dinmore, near Brisbane, which is being used specifically to instruct a robotic cutting R&D project, but not for grading purposes. It is now two and a half years since former MLA managing director Richard Norton announced an ambitious plan to accelerate the adoption of DEXA technology in Australian processing plants, to increase the accessibility of the resulting data across the value chain. The original MLA vision was to install DEXA in 90 AusMeat accredited abattoirs across Australia at a cost of up to $150 million. Different funding models were discussed around the industry to underpin the project, but no clear financial plan has yet emerged. Mr Starling said it was not uncommon for ‘big, game changing’ technologies like DEXA to take some time to embed within the industry. “Think about carcase electrical stimulation, lamb automation, BladeStop, Meat Standards Australia, and newer innovations like spray chilling of carcases. They all take in the order of 7-15 years to reach industry acceptance and commercial adoption,” Mr Starling said. In practical terms, DEXA was currently around year-five on the development scale, he said. The question of who funds the DEXA technology installations – one of the major points of contention when the project first emerged – may become clearer in coming months. The Australian Meat Processor Corporation board has said it will not consider any funding model for DEXA until MLA’s original suite of project costings are independently validated. Engineering company Wiley has been engaged to complete that project, with its report anticipated to be delivered in coming months. The report is expected to provide a summary of whether original costings on DEXA installations carried out earlier by MLA are still ‘in the ballpark’. Earlier installation cost estimates varied widely, depending on each individual site application, but generally ranged from $1 million to $3 million per site. It is hoped that Wiley’s report will provide a basis for AMPC to make a decision on whether it will financially support future DEXA roll-out. Mr Starling said a critical next step in the evolution of DEXA was the producer education process, which would go ‘hand-in-hand’ with carcase yield feedback from current and future DEXA plant installations, both beef and lamb. “Producer education will be critically important, for a number of reasons,” he said. “It will guide producers about what the new carcase yield feedback figures means, how they might respond to that data in breeding decisions, and what changes could be expected as a result of implementing any recommendations,” he said. For every processing company DEXA installation, MLA offers to support an internal resource that can engage with producers one-on-one over yield results included in feedback sheets. The second phase is producer awareness field days specifically covering yield/DEXA topics, as well as eating quality and animal health. Those field days will become more focused as more ‘real data’ is provided, as more DEXA systems are installed, Mr Starling said. Teys Australia, for example, has been providing producers supplying its central Queensland beef plants with yield feedback for several years, based initially on algorithms but increasingly on advancing objective measurements systems such as DEXA and camera generated yield calculations. Earlier industry research has shown it is not uncommon to find an $80 difference in value between two carcases of identical weight, fatness and meat quality, based solely on the amount of saleable meat each body contains. DEXA technology for both beef and lamb is one of a range of objective measurement technologies within the suite of MLA research and development investments that the company has made using producer levies, research partner and private investment and matching Federal Government research funding. 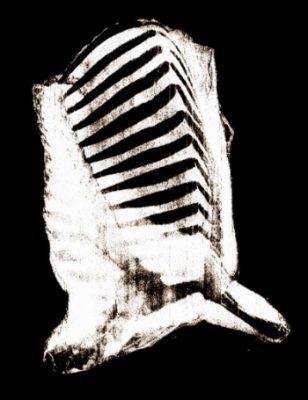 The use of x-ray platforms for objective whole-of-carcase measurement was first initiated by MLA in 2005. As the development of the technology progressed, MLA entered into a collaborative research partnership in 2012 with Murdoch University and Scott Technology to develop the application of DEXA as a more advanced objective measurement tool for measuring meat, fat and bone percentage in lamb carcases. JBS’s Bordertown processing plant facility was used as a host location for the early development work, with the company adding DEXA at its Brooklyn plant to facilitate automation and include the opportunity for DEXA grading of lamb carcases. During the lamb development work, Teys Australia and MLA, along with Scott Technology and Murdoch University, initiated R&D on the application of DEXA technology to beef processing. This work, which JBS subsequently joined, has culminated in Teys Australia installing a full-scale beef DEXA unit in the company’s Lakes Creek (Rockhampton) plant.